Food science is the science of nature devoted to the study of food; it is often confused with "food technology". The Institute of Food Technologists defines food science as "the discipline in which the engineering, biological, and physical sciences are used to study the nature of foods, the causes of deterioration, the principles underlying food processing, and the improvement of foods for the consuming public". The textbook Food Science defines food science in simpler terms as "the application of basic sciences and engineering to study the physical, chemical, and biochemical nature of foods and the principles of food processing". 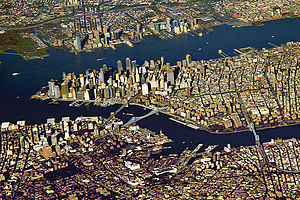 The Port of New York and New Jersey grew from the original harbor at the convergence of the Hudson River and the East River at the Upper New York Bay. A port is a maritime commercial facility which may comprise one or more wharves where ships may dock to load and discharge passengers and cargo. Although usually situated on a sea coast or estuary, some ports, such as Hamburg, Manchester and Duluth, are many miles inland, with access from the sea via river or canal. The term was first applied post World War II to the United States and the Soviet Union. For the duration of the Cold War the United States and the Soviet Union came to be generally regarded as the two remaining superpowers, dominating world affairs. At the end of the Cold War and the dissolution of the Soviet Union in 1991, only the United States appeared to be the world's superpower. 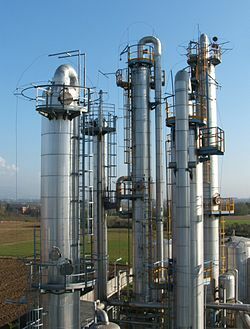 Chemical engineering is a branch of engineering that uses principles of chemistry, physics, mathematics, biology, and economics to efficiently use, produce, transform, and transport chemicals, materials, and energy. A chemical engineer designs large-scale processes that convert chemicals, raw materials, living cells, microorganisms, and energy into useful forms and products. 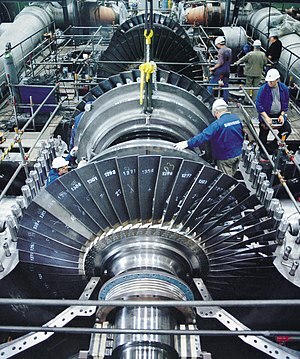 Minimum human intervention is required to control many large facilities such as this electrical generating station. Automation is the technology by which a process or procedure is performed with minimal human assistance. 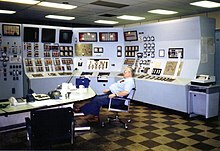 Automation or automatic control is the use of various control systems for operating equipment such as machinery, processes in factories, boilers and heat treating ovens, switching on telephone networks, steering and stabilization of ships, aircraft and other applications and vehicles with minimal or reduced human intervention. Artificial consciousness (AC), also known as machine consciousness (MC) or synthetic consciousness (Gamez 2008; Reggia 2013), is a field related to artificial intelligence and cognitive robotics. The aim of the theory of artificial consciousness is to "Define that which would have to be synthesized were consciousness to be found in an engineered artifact" (Aleksander 1995). 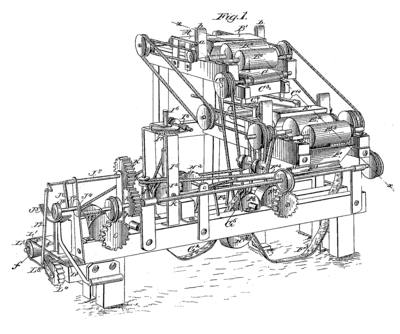 A machine (or mechanical device) is a mechanical structure that uses power to apply forces and control movement to perform an intended action. Machines can be driven by animals and people, by natural forces such as wind and water, and by chemical, thermal, or electrical power, and include a system of mechanisms that shape the actuator input to achieve a specific application of output forces and movement. They can also include computers and sensors that monitor performance and plan movement, often called mechanical systems. A hologram is an image that appears to be three dimensional and which can be seen with the naked eye. Holography is the science and practice of making holograms. Typically, a hologram is a photographic recording of a light field, rather than an image formed by a lens. The holographic medium, i.e., the object produced by a holographic process (which itself may be referred to as a hologram) is usually unintelligible when viewed under diffuse ambient light. It is an encoding of the light field as an interference pattern of variations in the opacity, density, or surface profile of the photographic medium. When suitably lit, the interference pattern diffracts the light into an accurate reproduction of the original light field, and the objects that were in it exhibit visual depth cues such as parallax and perspective that change realistically with the relative position of the observer. That is, the view of the image from different angles represents the subject viewed from similar angles. A cryogenic treatment is the process of treating workpieces to cryogenic temperatures (i.e. below −190 °C (−310 °F)) in order to remove residual stresses and improve wear resistance on steels. In addition to seeking enhanced stress relief and stabilization, or wear resistance, cryogenic treatment is also sought for its ability to improve corrosion resistance by precipitating micro-fine eta carbides, which can be measured before and after in a part using a quantimet. 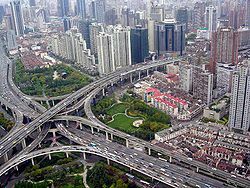 The smart city concept integrates information and communication technology (ICT), and various physical devices connected to the IoT network to optimize the efficiency of city operations and services and connect to citizens. Smart city technology allows city officials to interact directly with both community and city infrastructure and to monitor what is happening in the city and how the city is evolving. ICT is used to enhance quality, performance and interactivity of urban services, to reduce costs and resource consumption and to increase contact between citizens and government. AeroMobil 3.0 on display on 2 July 2016. The AeroMobil s.r.o. AeroMobil (variously also styled Aeromobil and AEROMOBIL by the manufacturer) is a Slovak prototype roadable aircraft, designed by Štefan Klein and first flown in 2013. The aircraft will be produced by AeroMobil s.r.o..
Windows Mixed Reality is a mixed reality platform introduced as part of the Windows 10 operating system, which provides holographic and mixed reality experiences with compatible head-mounted displays. Colloidal quantum dots irradiated with a UV light. 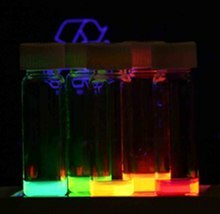 Different sized quantum dots emit different color light due to quantum confinement. Computer ethics is a part of practical philosophy concerned with how computing professionals should make decisions regarding professional and social conduct. The individual's own personal code. Any informal code of ethical conduct that exists in the work place. Exposure to formal codes of ethics. A coilgun or Gauss rifle is a type of projectile accelerator consisting of one or more coils used as electromagnets in the configuration of a linear motor that accelerate a ferromagnetic or conducting projectile to high velocity. In almost all coilgun configurations, the coils and the gun barrel are arranged on a common axis. It is not a rifle as the barrel is not rifled. 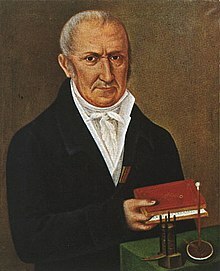 The name "Gauss" is in reference to Carl Friedrich Gauss, who formulated mathematical descriptions of the magnetic effect used by magnetic accelerator cannons. An oncolytic virus is a virus that preferentially infects and kills cancer cells. As the infected cancer cells are destroyed by oncolysis, they release new infectious virus particles or virions to help destroy the remaining tumour. Oncolytic viruses are thought not only to cause direct destruction of the tumour cells, but also to stimulate host anti-tumour immune system responses. The potential of viruses as anti-cancer agents was first realised in the early twentieth century, although coordinated research efforts did not begin until the 1960s. A number of viruses including adenovirus, reovirus, measles, herpes simplex, Newcastle disease virus, and vaccinia have been clinically tested as oncolytic agents. Space colonization (also called space settlement, or extraterrestrial colonization) is permanent human habitation off the planet Earth. A neural network is a network or circuit of neurons, or in a modern sense, an artificial neural network, composed of artificial neurons or nodes. Thus a neural network is either a biological neural network, made up of real biological neurons, or an artificial neural network, for solving artificial intelligence (AI) problems. The connections of the biological neuron are modeled as weights. A positive weight reflects an excitatory connection, while negative values mean inhibitory connections. All inputs are modified by a weight and summed. This activity is referred as a linear combination. Finally, an activation function controls the amplitude of the output. For example, an acceptable range of output is usually between 0 and 1, or it could be −1 and 1. A shaped charge is an explosive charge shaped to focus the effect of the explosive's energy. Various types are used to cut and form metal, initiate nuclear weapons, penetrate armor, and perforate wells in the oil and gas industry. An electric car is an automobile that is propelled by one or more electric motors, using energy stored in rechargeable batteries. The first practical electric cars were produced in the 1880s. Electric cars were popular in the late 19th century and early 20th century, until advances in internal combustion engines, electric starters in particular, and mass production of cheaper gasoline vehicles led to a decline in the use of electric drive vehicles. In 1897, electric cars found their first commercial use in the USA. New York City taxis were electric, and they were manufactured by the Philadelphian Electric Carriage and Wagon company. 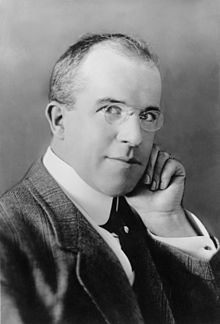 During the 20th century, the main manufacturers of electric vehicles in the US were Anthony Electric, Baker, Columbia, Anderson, Edison, Riker, Milburn and others. Unlike gasoline-powered vehicles, the electric ones were quieter and did not require gear changes. From 2008, a renaissance in electric vehicle manufacturing occurred due to advances in batteries, illnesses and deaths from air pollution, and the desire to reduce greenhouse gas emissions. Several national and local governments have established tax credits, subsidies, and other incentives to promote the introduction and adoption in the mass market of new electric vehicles, often depending on battery size, their electric range and purchase price. The current maximum tax credit allowed by the US Government is US$7,500 per car. Compared with internal combustion engine cars, electric cars are quieter, have no tailpipe emissions, and lower emissions in general. Solid-state battery is a battery technology that uses both solid electrodes and solid electrolytes, instead of the liquid or polymer electrolytes found in lithium-ion or lithium polymer batteries. 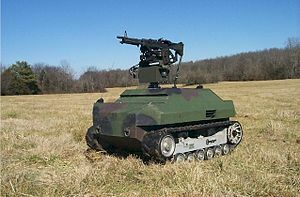 An unmanned ground vehicle (UGV) is a vehicle that operates while in contact with the ground and without an onboard human presence. UGVs can be used for many applications where it may be inconvenient, dangerous, or impossible to have a human operator present. Generally, the vehicle will have a set of sensors to observe the environment, and will either autonomously make decisions about its behavior or pass the information to a human operator at a different location who will control the vehicle through teleoperation. 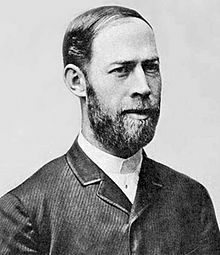 ... that Victorian physician and discoverer of arsenic in beer, Ernest Reynolds, did not believe in over-reliance on medical technology? ... that Sharon Barker, director of the Women's Resource Center at the University of Maine, brings 500 middle school girls to campus each year to explore careers in the STEM fields? ... that a goal of the National Strategic Computing Initiative is to combine big data methods with supercomputing technology usually used for physical simulations? 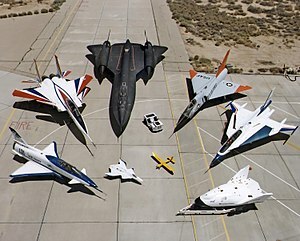 Raymond Kurzweil (/ˈkɜːrzwaɪl/ KURZ-wyle; born February 12, 1948) is an American inventor and futurist. He is involved in fields such as optical character recognition (OCR), text-to-speech synthesis, speech recognition technology, and electronic keyboard instruments. He has written books on health, artificial intelligence (AI), transhumanism, the technological singularity, and futurism. Kurzweil is a public advocate for the futurist and transhumanist movements, and gives public talks to share his optimistic outlook on life extension technologies and the future of nanotechnology, robotics, and biotechnology. John Napier of Merchiston (/ˈneɪpɪər/; 1550 – 4 April 1617); also signed as Neper, Nepair; nicknamed Marvellous Merchiston) was a Scottish landowner known as a mathematician, physicist, and astronomer. 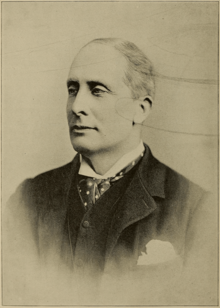 He was the 8th Laird of Merchiston. His Latinized name was Ioannes Neper. Self-Portrait, oil on canvas, 75 x 50 cm. Private collection, Paris. Hasan Ibn al-Haytham (Latinized Alhazen /ˌælˈhɑːzən/; full name Abū ʿAlī al-Ḥasan ibn al-Ḥasan ibn al-Haytham أبو علي، الحسن بن الحسن بن الهيثم; c. 965 – c. 1040) was an Arab mathematician, astronomer, and physicist of the Islamic Golden Age. 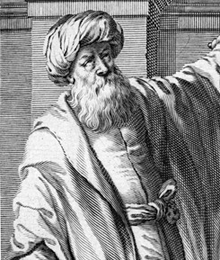 Sometimes called "the father of modern optics", he made significant contributions to the principles of optics and visual perception in particular, his most influential work being his Kitāb al-Manāẓir (كتاب المناظر, "Book of Optics"), written during 1011–1021, which survived in the Latin edition. A polymath, he also wrote on philosophy, theology and medicine. 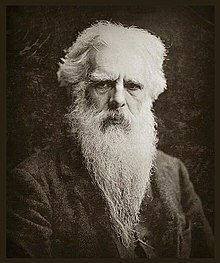 Eadweard Muybridge (/ˌɛdwərd ˈmaɪbrɪdʒ/; 9 April 1830 – 8 May 1904, born Edward James Muggeridge) was an English-American photographer important for his pioneering work in photographic studies of motion, and early work in motion-picture projection. He adopted the first name Eadweard as the original Anglo-Saxon form of Edward, and the surname Muybridge, believing it to be similarly archaic.